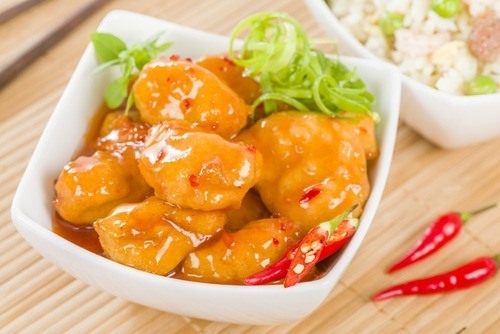 Get set for a windfall of exotic chicken recipes from famous chefs and restaurants! 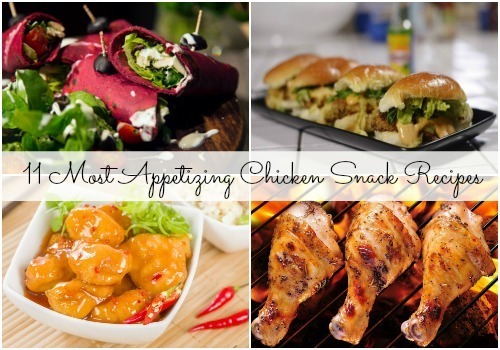 Here are 11 absolutely mouth-watering chicken snack recipes to take your culinary skills to another level. The next time you plan a party, try these recipes and become an instant hit among your family and guests! Click on Continue Reading to make the most awesome chicken pub dish with a recipe from Brent Owens, winner of MasterChef Australia season 6. Fill a large saucepan one-third full with vegetable oil and place it over medium heat for the oil to heat up. In a large bowl, lightly whisk the eggs with 2 tablespoons of water and tabasco sauce. Pat the chicken dry and place into a plastic bag with the onion and garlic powders. Shake well. Remove the chicken and place it into the egg mixture. Coat it well with the egg and then put in a bag with the flour. Shake well again. Check that the oil if it is at the right temperature by dipping a wooden spoon handle in the oil. If the oil bubbles around the handle, it’s hot enough. Slowly lower the chicken pieces into the oil and cook for 5-6 minutes, flipping over every 2 minutes. Remove and place directly onto paper towel to absorb any excess oil. Place cheese slices on top of each piece of fried chicken to melt. Season immediately with salt. In a small food processor, add chipotle chillies and blitz to a fine paste. Remove and set aside. Give the processor a quick wipe. In the same processor, pulse the egg, mustard, lemon juice and salt until well combined. With the processor running, add the oil gradually in a slow steady stream, until the mayonnaise is of the desired consistency. Check for seasoning. Store in an airtight container in the refrigerator for up to 3 days. To assemble the burger, cut the brioche roll in half. Lightly toast, cut side down under a grill or on a dry frying pan. 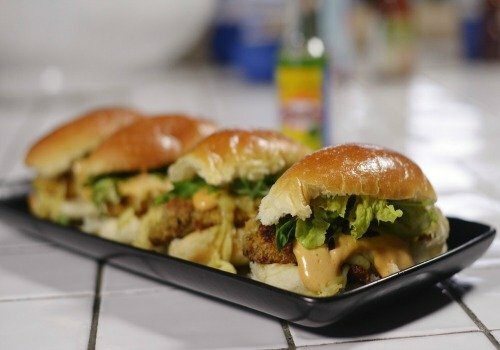 Add the cheesy, fried chicken, gherkin, lettuce and top them with chipotle mayo. Serve hot. Clean and wash the chicken. Cut appropriately to make gashes. Make the first marination with lemon juice and ginger-garlic paste. Leave it to rest for 2-3 hours. Prepare the second marination, with mustard oil, ginger-garlic paste, red chilly powder, kasoori methi, garam masala, salt and hung yoghurt. Rub the marination well, all around the chicken and leave it for few hours. 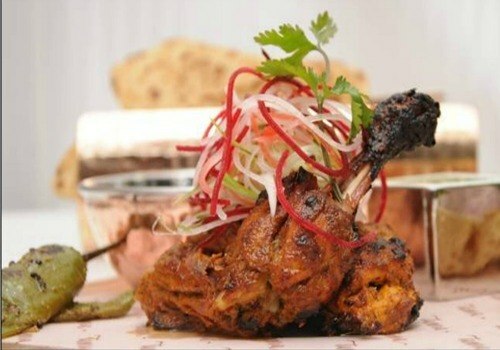 Slow cook the chicken in a tandoor. Once well cooked, dress it with chaat masala, chopped coriander and lemon juice. In a bowl, marinate the chicken with salt, pepper and lime juice and keep aside for 10 minutes. In a pan heat oil and fry chicken till light golden in color. In another pan heat oil and sauté garlic and ginger till light brown. Add cashews and sauté till light golden in color. Once done, add garam masala and season it with salt and pepper and add two cubes of butter to it. Add the fried chicken to it along with cream and milk and cook on low flame for 10 minutes. While it is cooking, in a separate bowl toss spinach and cut cherry tomatoes in balsamic vinegar and olive oil. Season it according to taste. Once the chicken is cooked, take the pieces out on a plate. 1. To make the jerk marinade, combine all the ingredients in a food processor along with 1 tsp salt and blend to a purée. If you’re having trouble getting it to blend, just keep turning off the blender, stirring the mixture, and trying again. Eventually it will start to blend up. Don’t be tempted to add water, as you want a thick paste. 2. Taste the jerk mixture for seasoning – it should taste pretty salty, but not unpleasantly, puckering salty. You can now throw in more chilies if it’s not spicy enough. If it tastes too salty and sour, try adding in a bit more brown sugar until the mixture tastes well balanced. 3. Make a few slashes in the chicken thighs and pour the marinade over the meat, rubbing it into all the crevices. Cover and leave to marinate overnight in the fridge. 4. 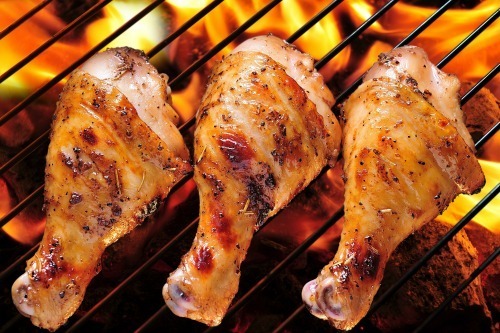 If you want to barbecue your chicken, get the coals burning 1 hour before you’re ready to cook. Authentic jerked meats are not exactly grilled as we think of grilling, but sort of smoke-grilled. To get a more authentic jerk experience, add some wood chips to your barbecue, and cook your chicken over slow, indirect heat for 30minutes. To cook in the oven, heat to 180C. 5. Put the chicken pieces in a roasting tin with the lime halves and cook for 45 minutes, until tender and cooked through. 6. While the chicken is cooking, prepare the roti by forming dough out of the roti ingredients. 7. 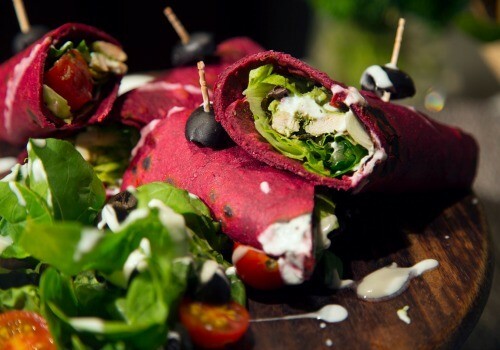 Stuff the chicken filling in the roti, along with your favourite salad greens and roll to form a wrap. Click on Continue Reading for Shipra Khanna's recipe that combines two interesting ingredients, pickle and chicken! Pour the oil in a kadhai on moderate heat. When heated, add the red chilies and after a moment, add the whole spices. When they start to splutter, stir in the ginger and garlic. Sauté till light golden. Mix in the spice powders, chicken and vinegar. Add the salt and cook for 8-10 minutes, till the chicken is tender. Stir in the green chilies and serve. 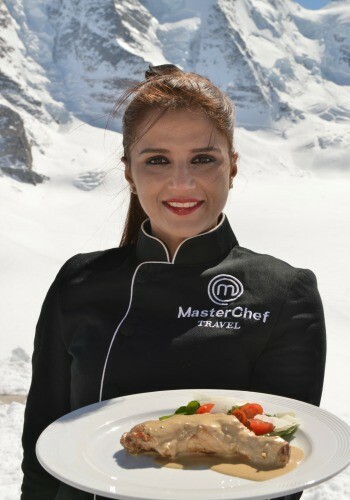 Want a recipe from celebrity chef Shilarna Vaze (Chinu) from FOODFOOD? Click on Continue Reading. Take a chicken breast and butterfly the sides. Add salt and pepper. Flatten the breast with a meat hammer. For filling mix, take the ricotta cheese, blanched spinach leaves, salt to taste, freshly ground black pepper, and nutmeg powder. Add the filling on the flattened chicken and roll it. Cook the roulade in water, until the meat is cooked. Add oil to a pan and fry the roulade till it turns golden brown. 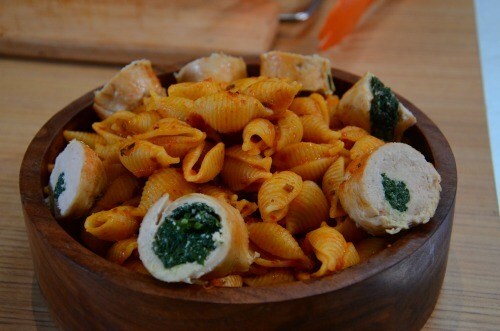 For the pasta, boil the conchiglie pasta shells in water, olive oil and salt. Toss the pasta with the tomato and black olive sauce. 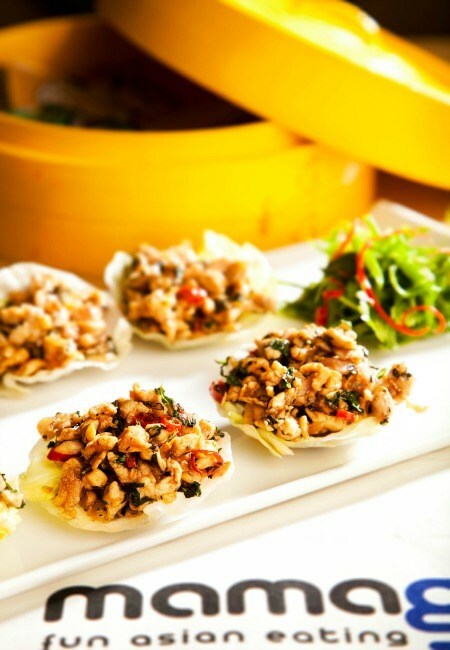 Want to try a delectable recipe from the very popular Mamagoto? Click on Continue Reading. 1. Heat oil (on a high flame) in a wok. Add garlic, onion and fresh red chilli. 2. Toss until garlic is cooked. Then, add boneless chicken, toss well. 3. Add oyster sauce, fish sauce, light soya sauce and sugar. 4. Cook until the chicken is done and the water has dried out. 5. Add dry basil, toss well, add fresh basil and remove from heat. 6. Serve placed in the 6 lettuce cups. 7. If you keep the lettuce cups in iced water, in the fridge they will stay crisp. Drain well and dry with kitchen paper before using them. 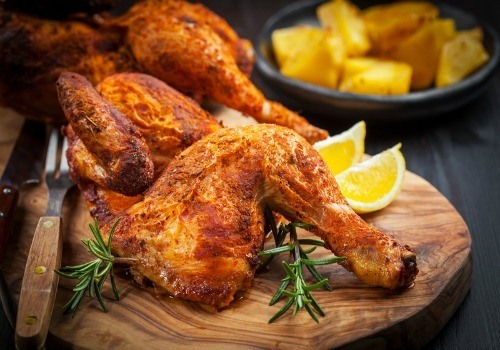 Click on Continue Reading for yet another tasty chicken treat from Chef Shantanu Gupte..
Chop your chicken and give it a good rub with the spices. Thread the chicken and tomatoes onto skewers and stick them in an air fryer for 7 minutes or so. Once done, stuff them into the pita pockets. 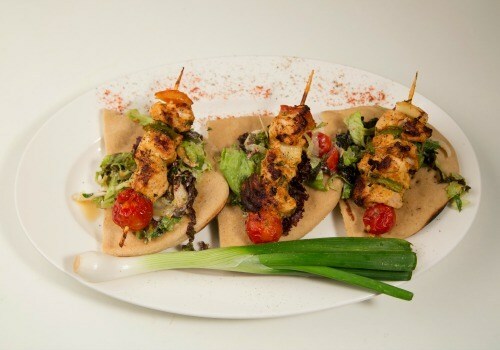 Add your favourite chutneys or hummus in the pita and enjoy! 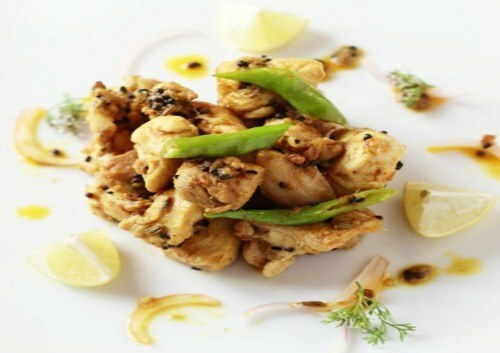 Click on Continue Reading for Chef Shipra Khanna's recipe for a spicy chicken dish that is sure to tantalise the tastebuds. In a bowl, marinate chicken with all the sauces and lime juice. Keep aside for 30 minutes. Heat a pan , add oil sauté garlic then add onions sauté and add the chillies and capsicum. Cook for 1 min on high flame. Add the marinated chicken to it and cook for 10-15 minutes over medium flame . Mix corn flour and water in a separate bowl till smooth. Add water to the chicken and let it boil. Once it boils and the chicken is cooked add the corn flour mix and let it cook further for 2-3 minutes on a medium flame. Add water to attain desired consistency of sauce. Serve with rice or noodles as per choice. Want to eat Peri-peri Chicken from the famous Barbeque Nation? Click on Continue Reading to know the recipe! To make the peri-peri sauce, preheat the oven to 180C. Place the chillies on a roasting tray and roast them for 10 minutes. Let it cool. Place the roughly chopped chillies with garlic, salt, oregano, paprika, olive oil and vinegar in a saucepan, and simmer for 2-3 minutes. Place the chicken in a sealable plastic bag. Add half the peri-peri sauce, spreading it evenly over the chicken. Seal and marinate in the refrigerator for at least 4 hour. Which one is your favourite chicken snack recipe? Share in our Comment box below.